When travellers book their trip with a classic travel agency, they are protected by travel insurance in case anything goes wrong. Why wouldn’t Internet users who book online be eligible for this type of protection? 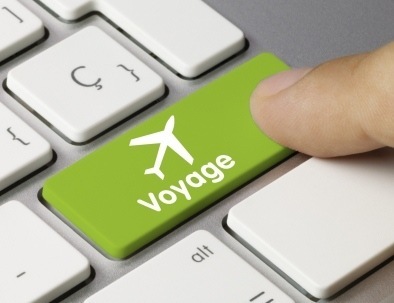 The EU therefore wants to make travel insurance applicable to e-commerce as well. In 1990, the EU issued a directive intended to protect holidaymakers who book travel packages where flight, car rental, hotel, etc. are combined. The directive requires that a party is always responsible for the correct performance of all parts of the package and the return journey has to be guaranteed in case of insolvency of the tour operator. Nowadays, users book their holiday online with increasing frequency and combine flight, hotel and car rental on their own device. They also use services from merchants that work together and can e.g. rent a car via the website of the company where they book their flight. Can this be considered a classic travel package, for which travel insurance applies? Unfortunately, the answer is no, even though 67% of Europeans think it can. For the sake of clarity, the EU introduced revisions to update the directive of 1990 to e-commerce so as to fit in this day and age. Consumers will for instance have the right to cancel their booking, price raises can’t exceed 10% and consumers will gain the right to claim damages in case of the seller’s failure to deliver the holiday according to plans. The new measures will therefore protect everyone who buys a tailor-made holiday – be it a travel package or new travel arrangements via online booking. The suggested revisions will be submitted before the summer of 2014 to the member countries of the EU and the European Parliament, and should take effect in 2016.